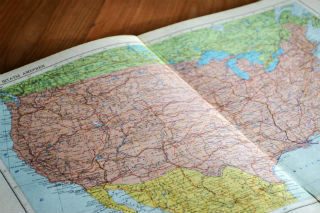 Franchising Territory: How Can You Find the Best Location for Your Franchise? If you’re considering investing in a franchise, one of the first things you’ll need to think about is your franchising territory. Most franchisors will offer a defined business territory for you to work in, but there are some key things you’ll need to consider before you sign on the dotted line. Greater profitability or sales potential aren’t necessarily guaranteed from bigger territories. You’ll often find that the more lucrative of territories are smaller, because it’s easier to create a loyal base of customers through focused marketing efforts. Smaller areas are also easier to manage logistically, so there aren’t areas left unserved. The right size business territory is one that provides you with enough prospects to meet your sales targets, but without being so large that it lowers your gross margin or productivity levels. The profitability, marketability, and manageability of your business will also rely on the shape of your territory. Consider areas that you can travel from your home to your office or customers with ease. For example, if you’re going to be visiting customers’ homes throughout the day, you’ll need to make sure you can commute easily. And if you’re going to be direct mailing clients, it’s easier to mail these within one territory without having purchase multiple zip codes or lists. If your franchise territory is near to (but not encroaching on) other franchise territories, this could give your business a good starting point. Customers within the area may have already heard of your brand, making it easier to get your business going. If you’re the first franchisee in the area, however, be prepared to put more aside for your initial marketing efforts. Before you accept a territory, it’s crucial that you’ve evaluated its potential customers. Is there a demand for your services or products in this area? For example, if you’re selling cleaning services to residential properties and the area’s largely filled with businesses, this isn’t going to be a good territory for you. A good franchisor will work with a prospect in finding a promising territory for the most potential success. The territory of your franchise will be described in your Franchise Disclosure Document (FDD). You need to pay close attention to what territory you’re being given and whether it’s “protected” or “exclusive” and how these are defined by your franchisor. Make sure “encroachment” is clearly defined in the agreement, so you know your territory cannot be entered by another franchisee. You may also want to consider whether you’re allowed to promote your services within an “open territory” (one that has no franchisees in it), and whether you’re allowed to accept referral business from someone outside your territory. Considering all these factors is crucial before you make any firm decisions on your franchising territory. Discover what available territories the Dwyer Group has for their franchises online or by calling our dedicated customer service team on 800-490-7501.